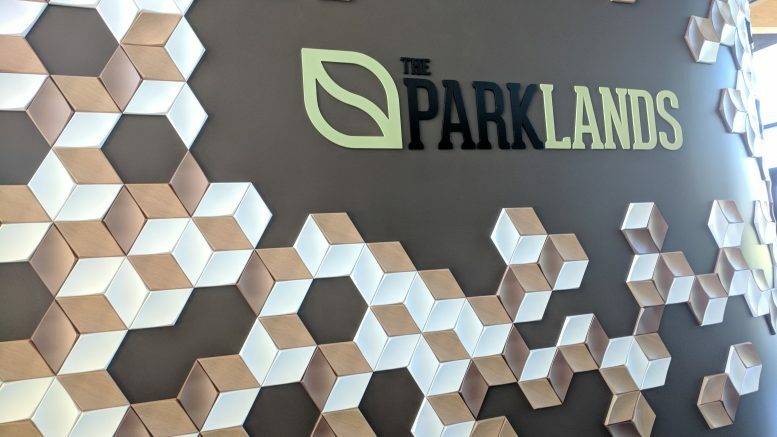 Officials with the City of Jasper and the the Jasper Park and Recreation Department and it’s board officially dedicated and formally opened the much anticipated Parklands of Jasper on Saturday. A 75-acre central park is a major urban renewal endeavor which turned a private 9-hole golf course and the surrounding woodlands into what has been dubbed as Indiana’s Natural Destination. A Dedication and ribbon cutting ceremony lead by Jasper Mayor Terry Seitz, Jasper Park Board President Roger Seger and Parks Director Ken Buck took place Saturday morning at the park located on the former Jasper Country Club property along West 15th Street followed by a formal public opening early that afternoon. In the summer of 2012 the Country Club announced they would close their facility and reached out to Mayor Seitz to see if the city wanted to purchase the property. Through the advice of Parks Director Buck and support of several council members, negotiations began between the Country Club Board, the city and adjacent property owner, Greater Jasper Consolidated Schools. The City announced a purchase agreement for the golf course in early 2013 which included resale of 10 acres to the school corporation and a partnership agreement for maintenance. The $1M cost was funded from the Rainy Day Fund and the fund has been fully restored. The purchase agreement included a restricted deed, meaning it could no longer be a golf course. Meanwhile, the parent company of the Schnitzelbank Restaurant announced the purchase of the JCC clubhouse for conversion to a banquet facility and a brewery overlooking The Parklands. The mayor appointed a citizen advisory team to determine what the land could become and contracted with CityVisions of Louisville, Kentucky and Gamble Associates of Boston, Massachusetts to provide recommendations. After much discussion a “Managed Meadows” concept was announced in 2015 with preliminary plans calling to keep much of grounds in a natural state with limited structures, while taking advantage of the setting for public amenities including the use of the existing golf course ponds. The opportunity then took another giant leap with the pursuit of an Indiana Bicentennial Nature Trust grant for the adjacent 25 acres of woods. With private benefactors and real estate discounts offered by property owners, the City acquired the additional acreage and formal design work began through Rundell Erntsberger Associates of Indianapolis and Hafer Associates of Evansville. Jasper Lumber was chosen as the General Contractor and ground was broken in March 2017. The Parklands of Jasper provided an optimum platform for collaboration between the city, schools, state and the private sector. It is estimated that nearly 2 and a half million dollars of donated funds, grants, or in-kind contributions are part of the 7 and a half million dollar project including an endowment. Jasper Park Board President Roger Seger says years of planning, designing and preparation resulted into the formation of a beautiful park and it’s facilities. Seger says the project was the collaboration of many involved…. • Two miles of walking trails including multi-purpose paths made possible, in part, by benefactors and an Indiana Department of Natural Resources Land and Water Conservation grant. • A walking signature bridge which is lit at night to draw attention to the park. • Three ponds, all connected by elevated pathways, one of which will be stocked by the Indiana Department of Natural Reasources for fishing. • Approximately 25 acres of woods made possible by benefactors and the Indiana Bicentennial Nature Trust. • Two waterfalls fed from a well on the property. • A wetlands area for nature studies. • The Pavilion – an indoor public event space seating 160 people with a prep kitchen from MasterBrand Cabinets and a 2,000 square foot picnic deck overlooking a fish pond. • A splash pad with three rock features and 42 jets. • Four GTFit outdoor exercise pods from Memorial Hospital & Health Care Center with 10 pieces of exercise equipment. • An Adventure Play Area featuring climbing rocks and balance beams. • A Musical Playground from the Jasper Kiwanis Club. • And a connecting path from the City’s existing multi-use trail is being built this summer. Jasper Parks and Recreation Director Ken Buck notes that after 6 years of hard work and soul searching, The Parkland’s will be a huge assest to the parks department and the city as a whole….. In addition to serving Jasper citizens, city officials anticipate The Parklands of Jasper will become a regional destination. Be the first to comment on "PARKLANDS OF JASPER DEDICATION"